DRAPER — As the old adage goes, when the time to act arrives, the time to prepare has passed. No one knows this better than 14-year-old Porter Lewis, a student at Corner Canyon High School, and the school administrators and staff that may well have saved his life. Lewis was running laps in gym class on Tuesday when his teacher noticed he had slumped against the wall and collapsed to the floor, according to Canyons District spokesperson, Jeff Haney. The gym teacher ushered the other students out of the room and asked the teaching aide to run for help. 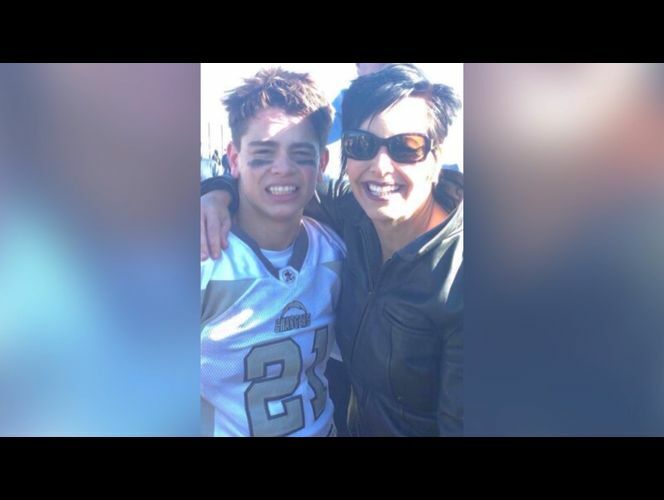 The aide soon came back with the school principal, Darrell Jensen, who assessed the situation and quickly realized that Lewis’s heart had stopped beating and that he was no longer breathing. The school nurse and a hall monitor soon followed Jensen into the room and began CPR while one of the assistant principals ran for an AED, or automated external defibrillator, to jumpstart Lewis’s heart. “The AED and the proper use of it is something we take very seriously,” Haney said. “In 2013 we were concerned about making sure our schools were as safe as possible and we took the steps then to install these defibrillators in all of our schools. “The AED can automatically diagnose life-threatening cardiac arrest and treat those medical issues through the application of an electrical jolt,” Haney said. When the assistant principal returned with the AED, emergency dispatchers walked Jensen, the hall monitor and the nurse through the process of using the defibrillator, though the nurse was already familiar with the process. It was about four or five minutes after Lewis’s heart stopped that the school nurse, Nancy Purcell, was able to administer a life-saving jolt and Lewis’s heart began beating again. The paramedics soon arrived and Lewis was transported to Intermountain Medical Center and then flown by medical helicopter to Primary Children’s Hospital. He is now in stable condition and is awake and alert. Lewis has not had any similar health-related issues before and the episode came as a shock. “We commend the quick actions of the administration and the staff at Corner Canyon High and they may well have saved this child’s life,” Haney said. Jensen said that though the moment was stressful, he received a shot of adrenalin and reverted back to the training he had had, including removing the other students, assessing the situation and consulting the health plan that the school had on file for the student. Though Lewis does not remember anything that happened in the school gym (he regained consciousness later in the hospital), his mother is exceptionally thankful for the preparation and action of the school’s administrators and staff. “I’m just really grateful that people were there to save my son’s life," she said.